New homes taking shape on the edge of Norwich have provided an unexpected learning boost for a creative group of A-level students from Thorpe St Andrew High School. The students took part in a workshop run by professional interior designers who offered their time and expertise to mentor the students during the dressing of a show home at Broadland Growth Limited’s new Rosebery Fields development in Great Plumstead. 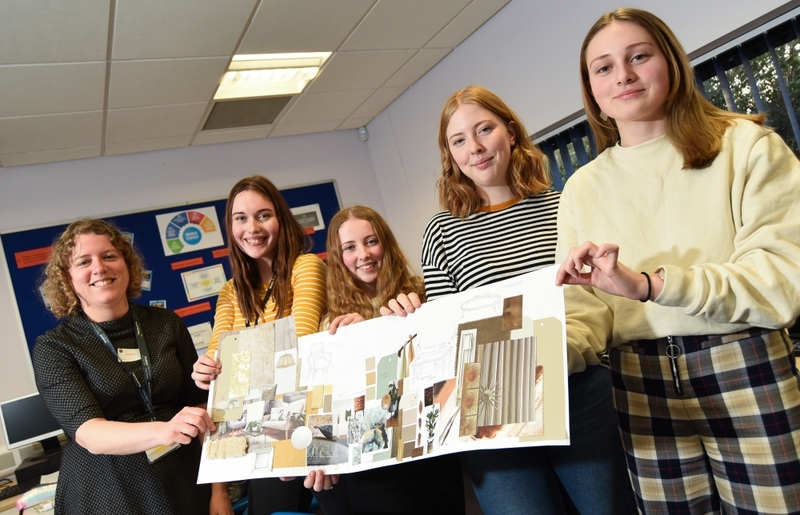 The students worked with K3 Interiors using samples to produce mood boards at the new property on the 22 home development by Broadland Growth Limited a joint venture company between Broadland District Council and NPS Group. Students were shown how to use scale rules as well as how to think about colour, texture and design in dressing a home and creating a marketable product.